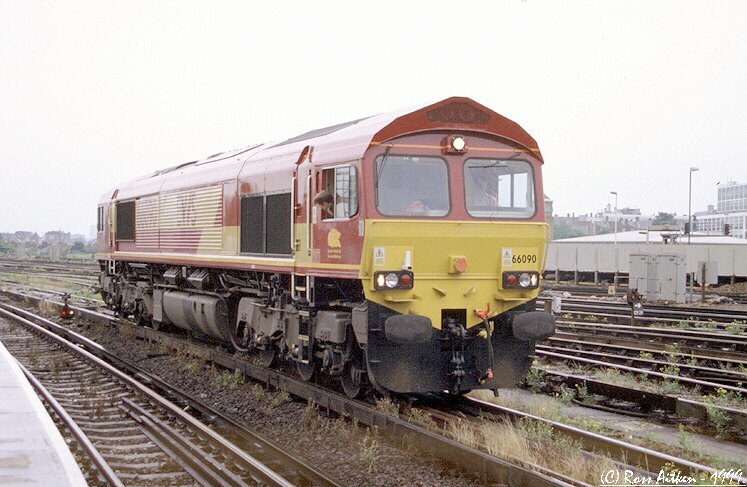 66090 arrives light engine at Clapham Junction, London on Sat 12th June 1999. 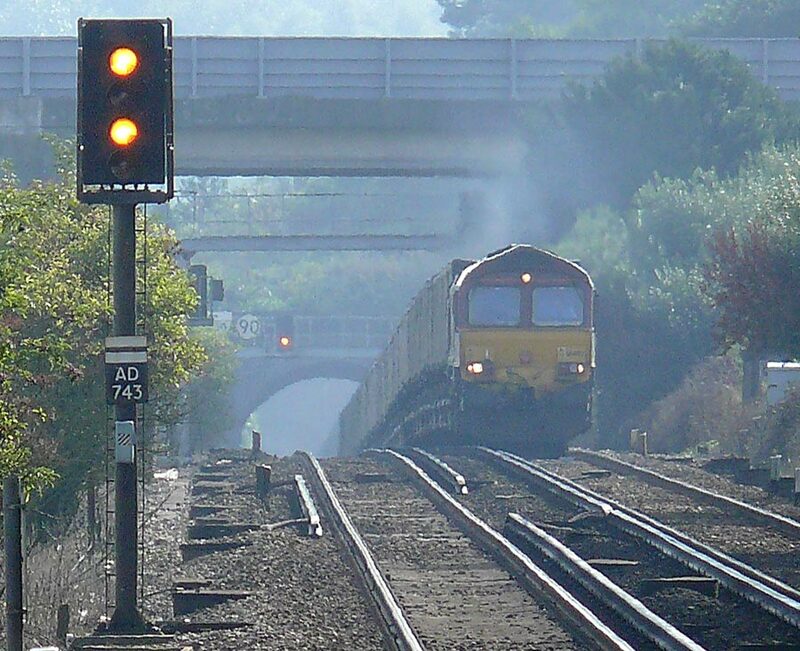 This loco then departed bound for Hither Green depot. 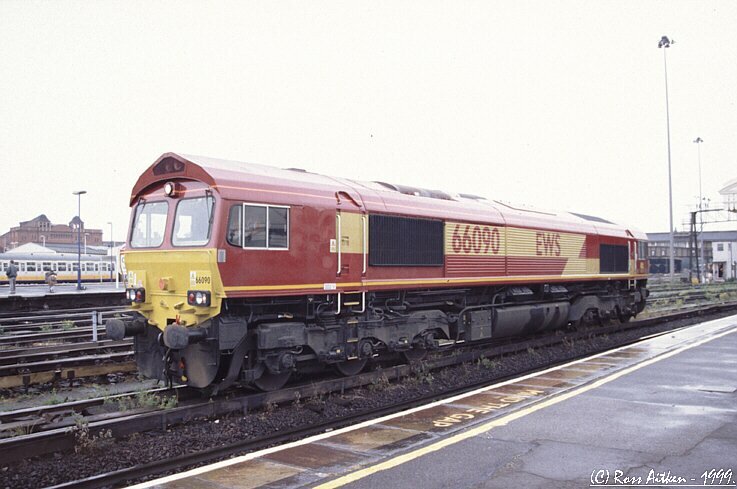 66093 is on the 'blue train' which is the colour of the wagons in less bright light. 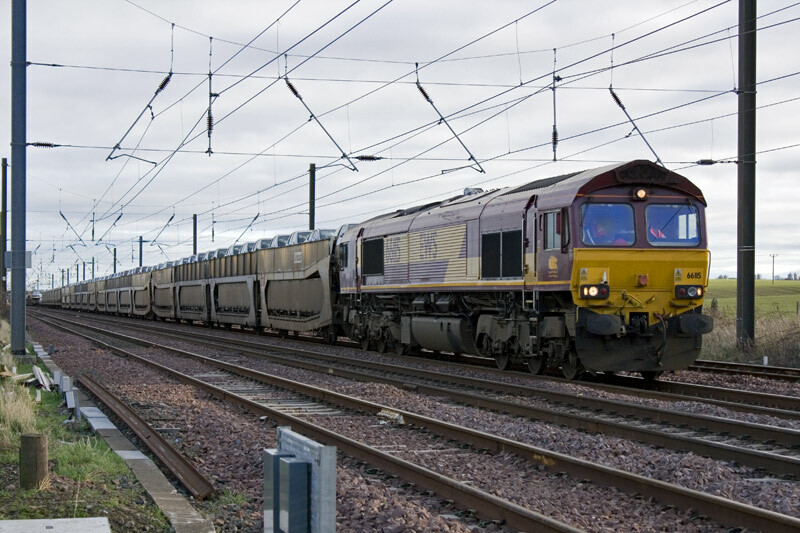 It carries Ford car parts between Spain & the nearby Ford Dagenham Works and has been a regular Channel Tunnel freight for many years. 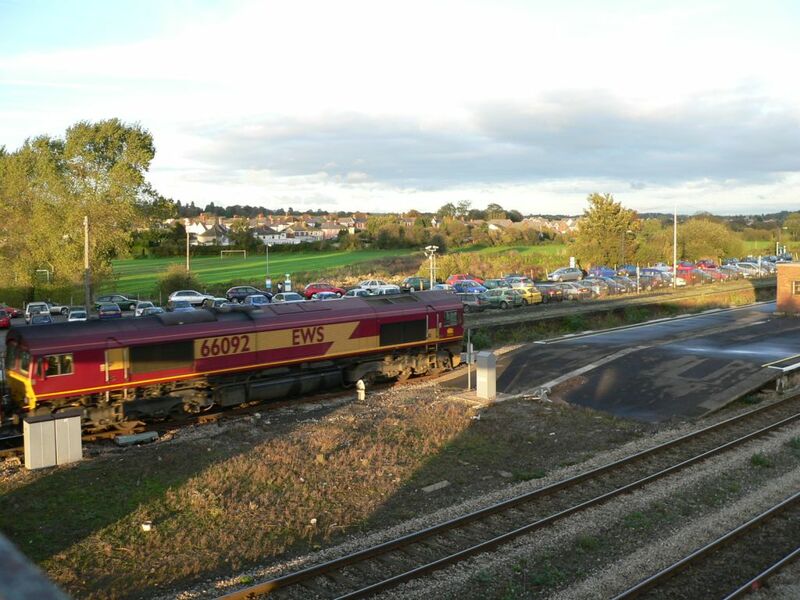 Pictured at Stratford on October 30th 2003. 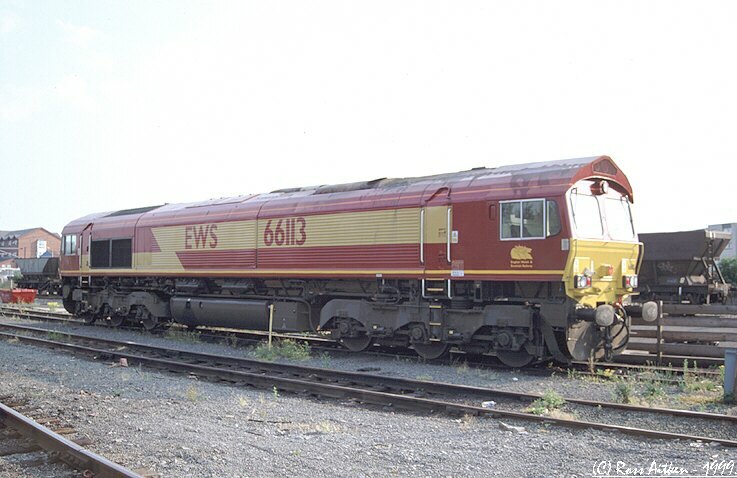 EWS Class 66 - 66094 stands in the yard at Toton while awaiting it's next turn of duty on Sat 3rd Mar 2007 at 17:02. 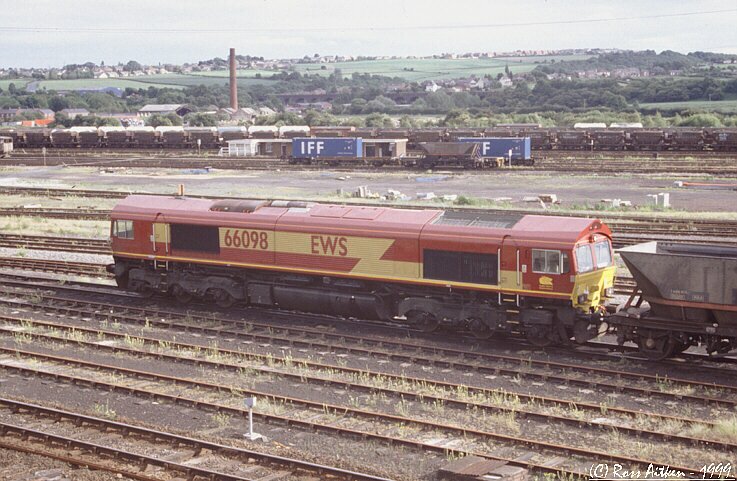 66094 stabled at Healey Mills while sitting on a coal (M.G.R) train on Sunday 13th June 1999. 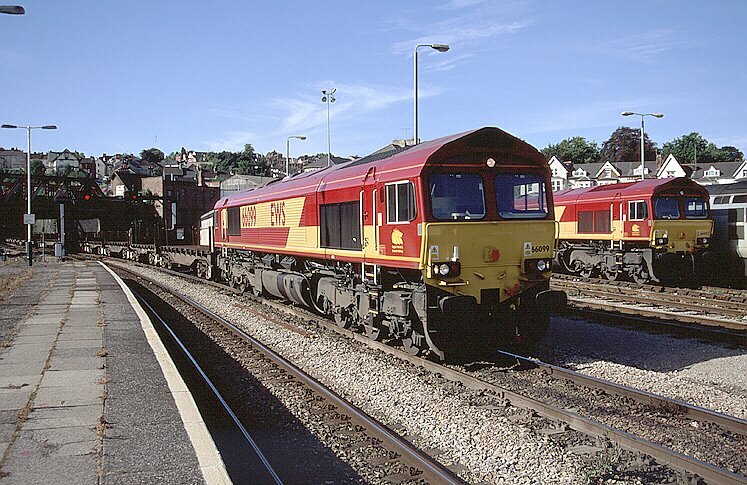 66099 passes through Newport with an unidentified eastbound empty steel train on Sun 12th September 1999. 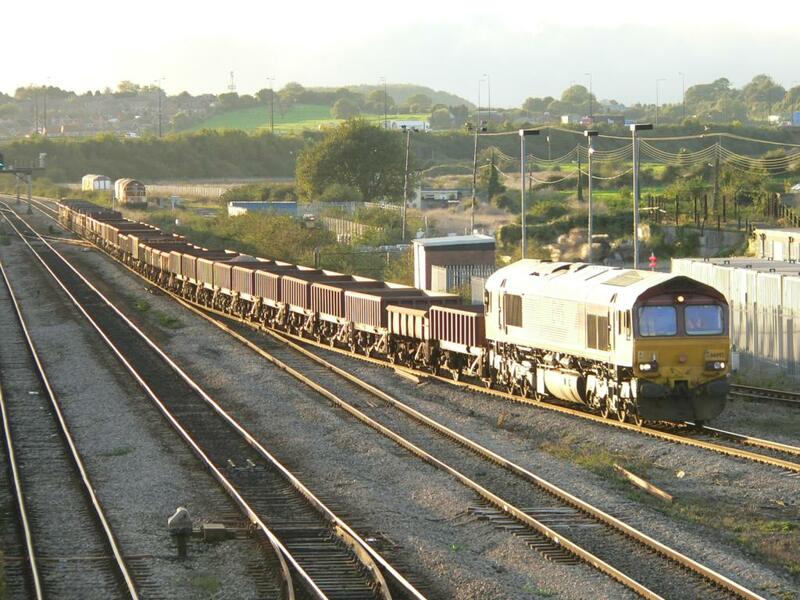 On the right can be seen 66002 stabled in the sidings at Newport Godfrey Road. 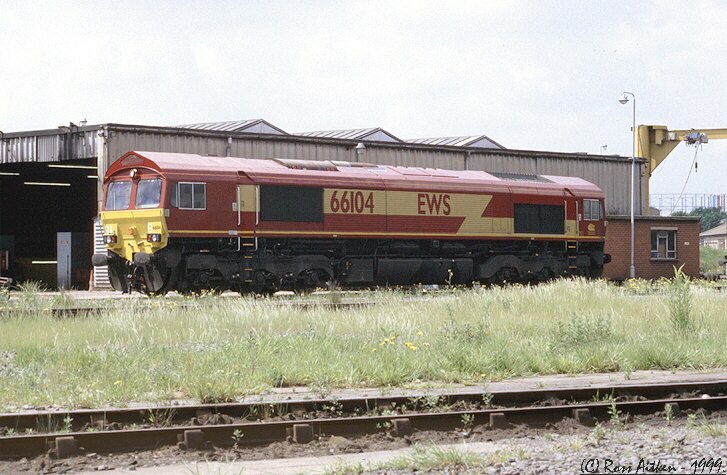 66104 stands at Saltley LIP, Birmingham on Tue 1st June 1999. 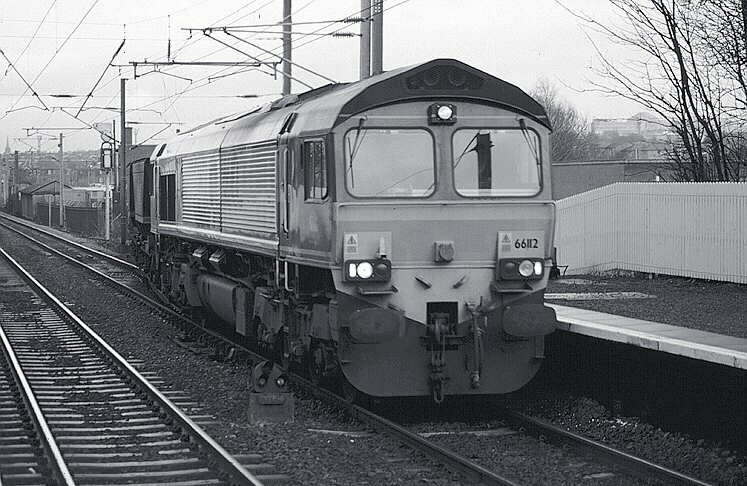 66105 stands in Barnetby station while engaged on engineering duties on sunday 14th November 1999. 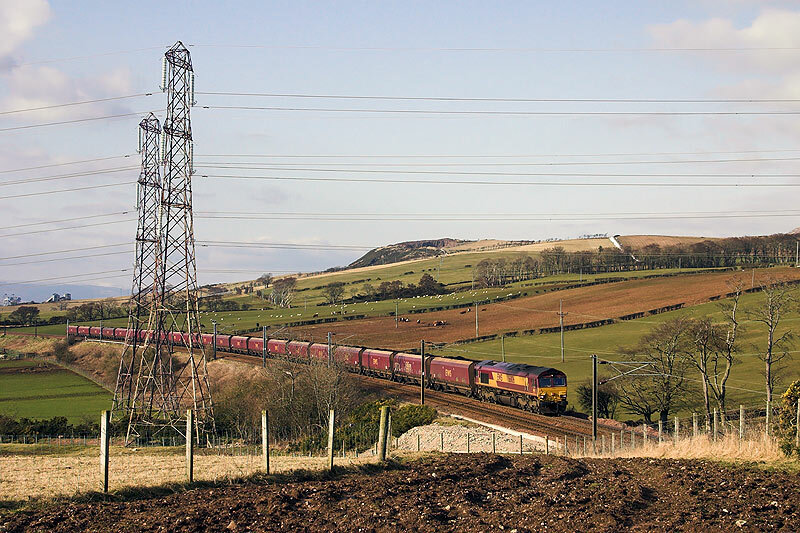 Having just left the Hunterston coal loading terminal with the 6E15 15:29 Hunterston-Drax PS, EWS Class 66 - 66106 weaves it's way through the North Ayrshire countryside at Crosbie Mains, just north of West Kilbride, on Friday 17th March 2006 at 16:05. 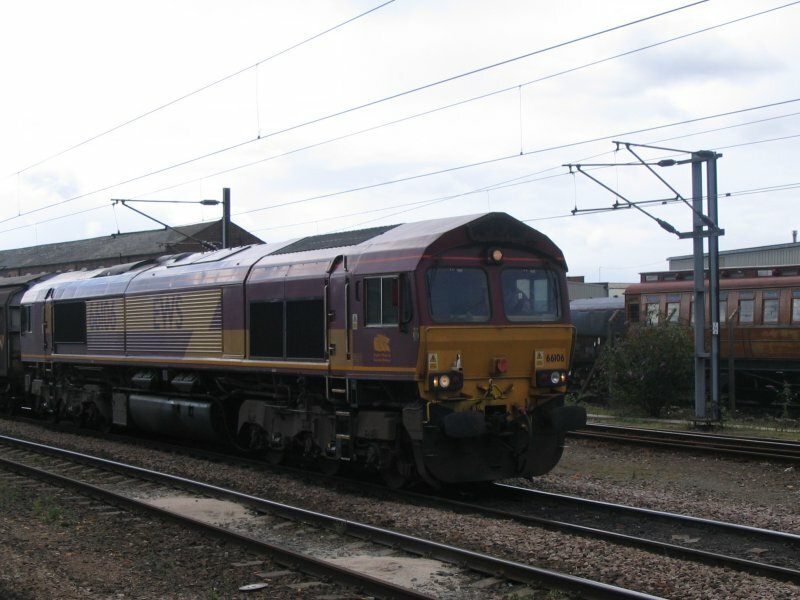 EWS diesel loco class 66 66106 stands at Doncaster station and is static. 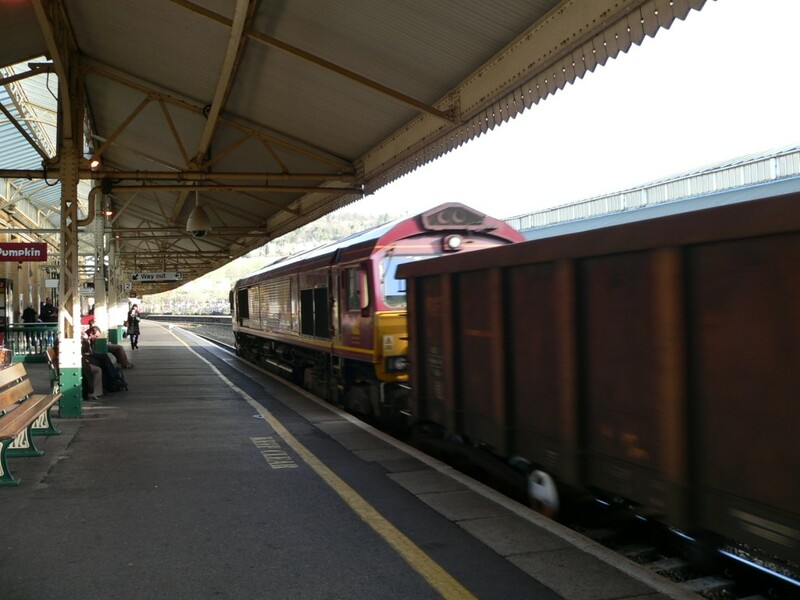 There is a goods train at the rear of this loco. 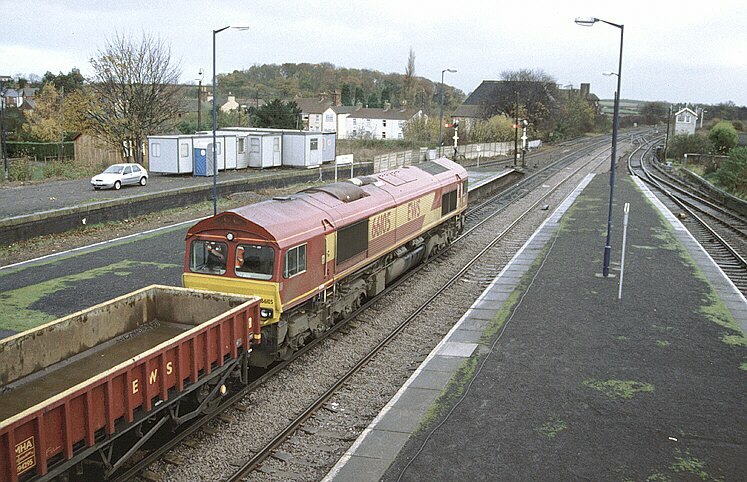 66112 passes through Slateford station in Edinburgh with an unidentified westbound M.G.R (coal) train on Monday 10th January 2000 @ 13:39. 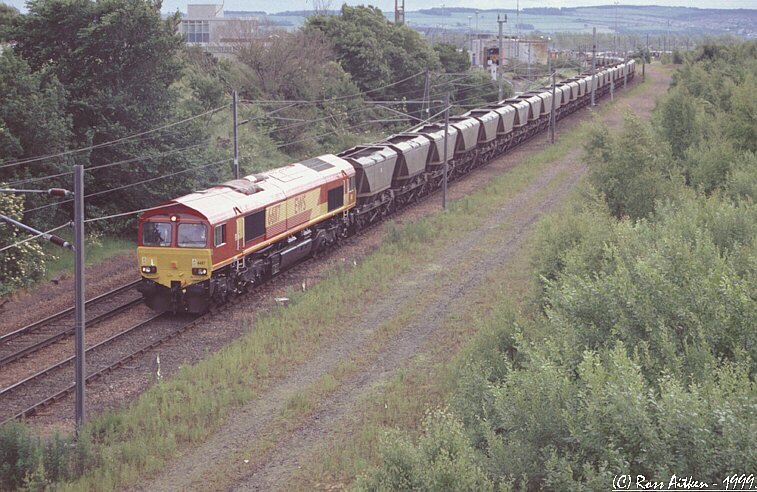 66113 stabled at Ayr T&RSMD on saturday 31st July 1999. 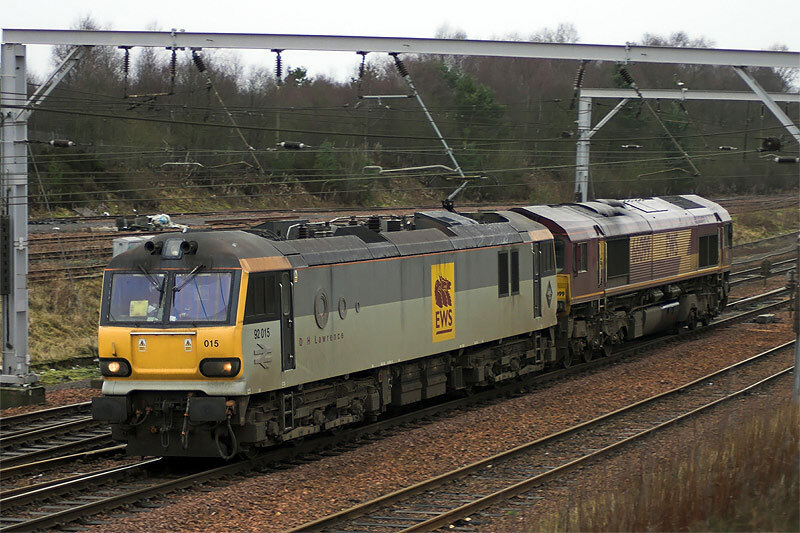 On Tue 30th Jan 2007 major service disruption was caused on the ECML between Edinburgh & Berwick when, while hauled by 66115, fire broke out on board one of the sections of the rear IPA 'Quad' Car Carrier on the 6X38 Washwood Heath - Bathgate car train while south of Drem. Brought to a stand at Drem Junction at approx 06:30, by which time the fire had got a serious hold, fire crews were quickly on the scene. At the height of the blaze, 45 firefighters were on site tackling the fire and also trying to prevent the flames spreading to the very last wagon of the car carrying train - a 2 axle petroleum tank carrying diesel oil for Millerhill.!!! The fire was eventually put out by 10:00, but not before the entire rear 'Quad' (No: 23-87-4375-030-5) & the back two sections of the penultimate 'Quad' (23-87-4375-044-6) were completely gutted along with the 36 brand new Citroen cars which they were carrying. 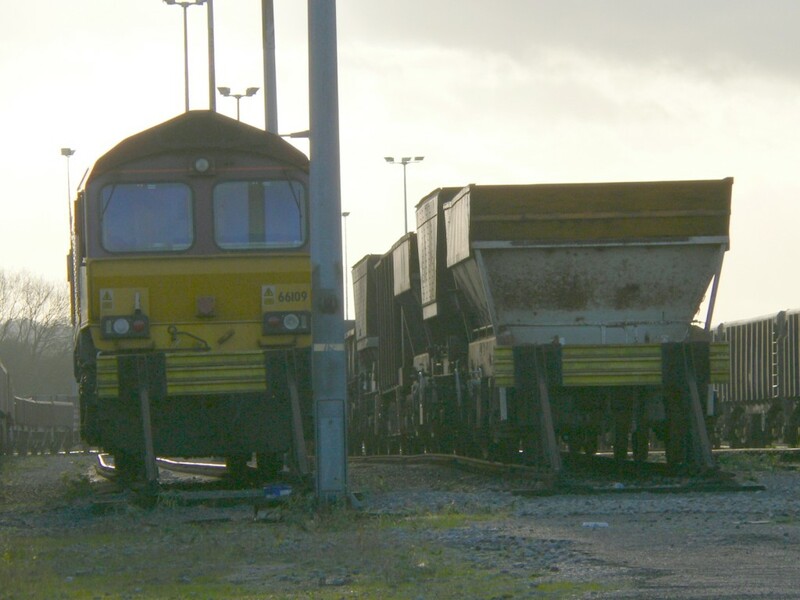 The undamaged portion of 6X38 was uncoupled from the burnt out wagons and sent on it's way to Bathgate at 12:12, while Millerhill dispatched 37406 to collect the damaged wagons and haul them to Millerhill. 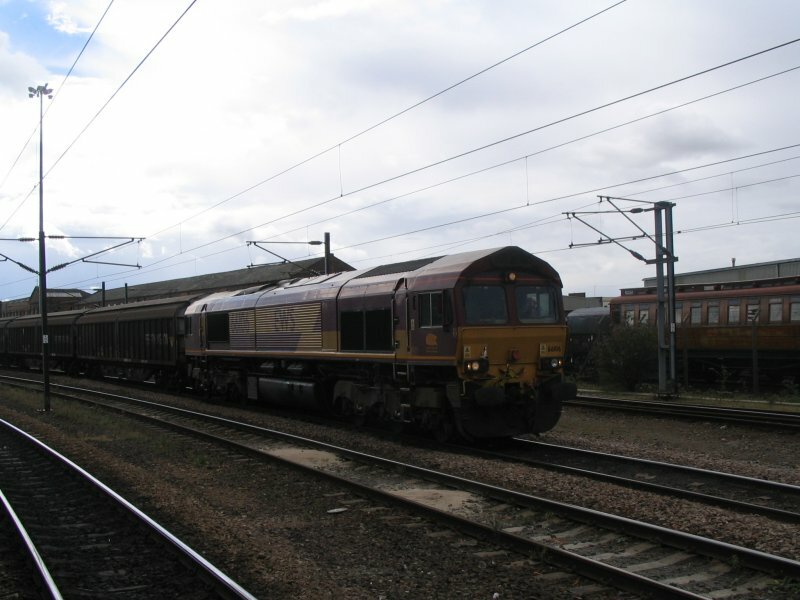 In this illustration, taken at 11:59 at Drem, EWS Class 66 - 66115 stands at the head of the 6X38 Washwood Heath - Bathgate 'Car Train' while looking somewhat oblivious to the ongoings at the rear of it's train. 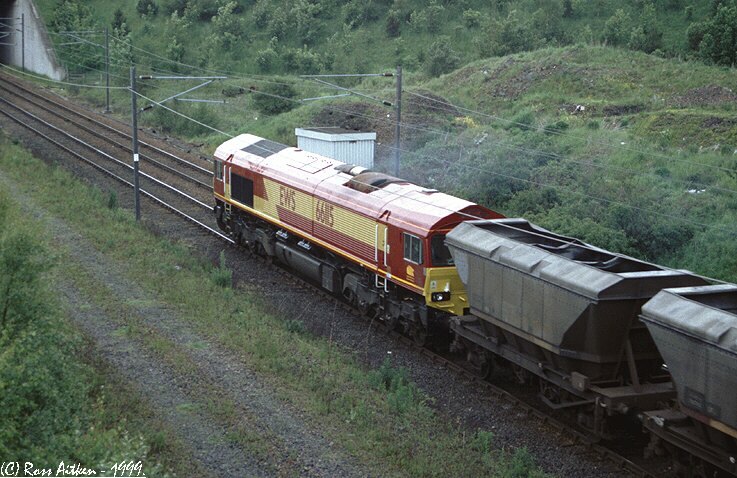 66115 departs Millerhill, Edinburgh at with an unidentified westbound coal (M.G.R) service on Fri 4th June 1999 at 09:25. 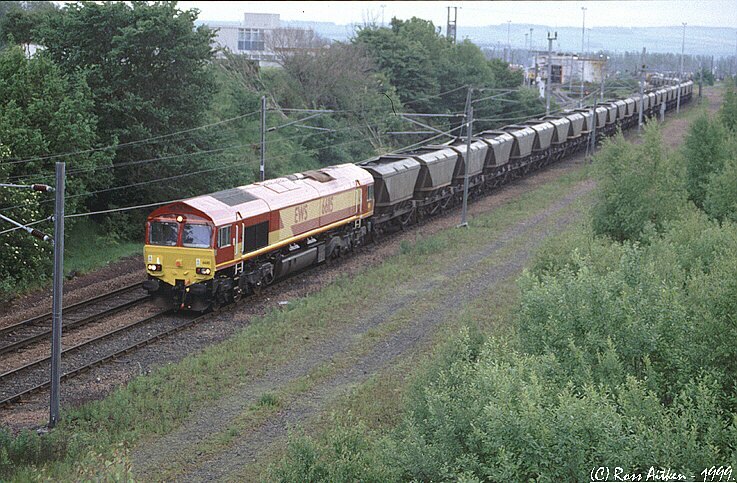 Having just been unloaded from the boat a couple of days earlier but suffered a brake defect problem which resulted in it not departing to Toton depot with some of the others, 66116 stands at Newport Godfrey Road sidings on Tue 1st June 1999 while awaiting it's first duty in this country. 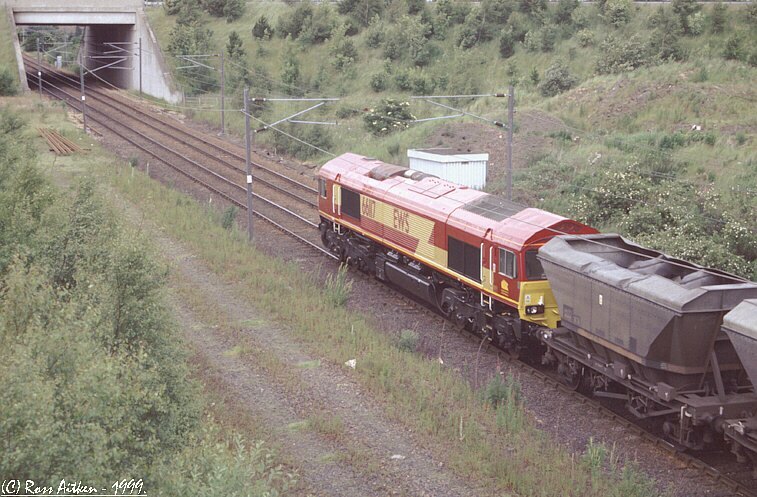 66117 pulls away from Millerhill with an unidentified westbound coal (M.G.R) train on 30th June 1999 at 13:45. 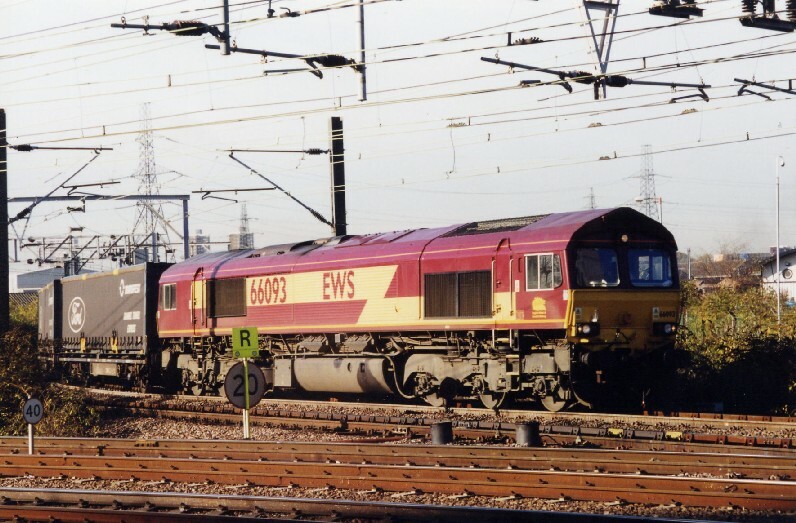 With 66099 dead in tow, EWS operated Class 92 - 92015 'D.H. 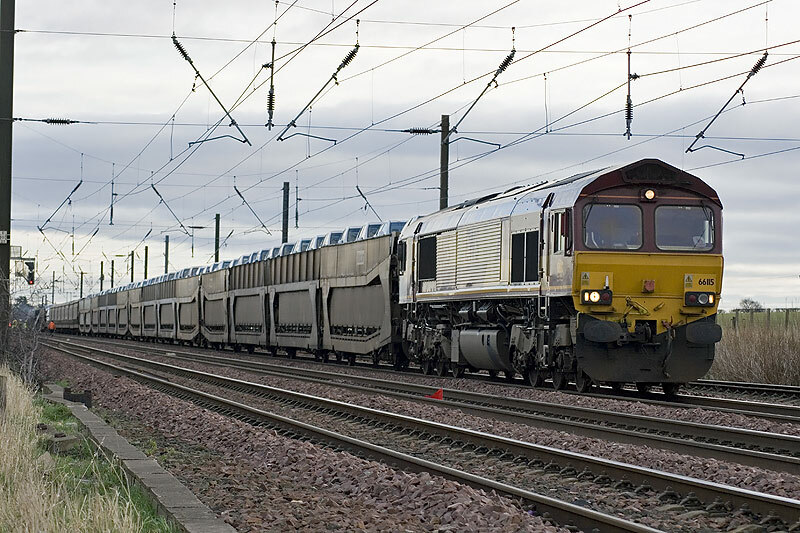 Lawrence' passes southbound through Carstairs with an unidentified 'Light Engine' movement on Fri 19th Jan 2007 at 13:21. 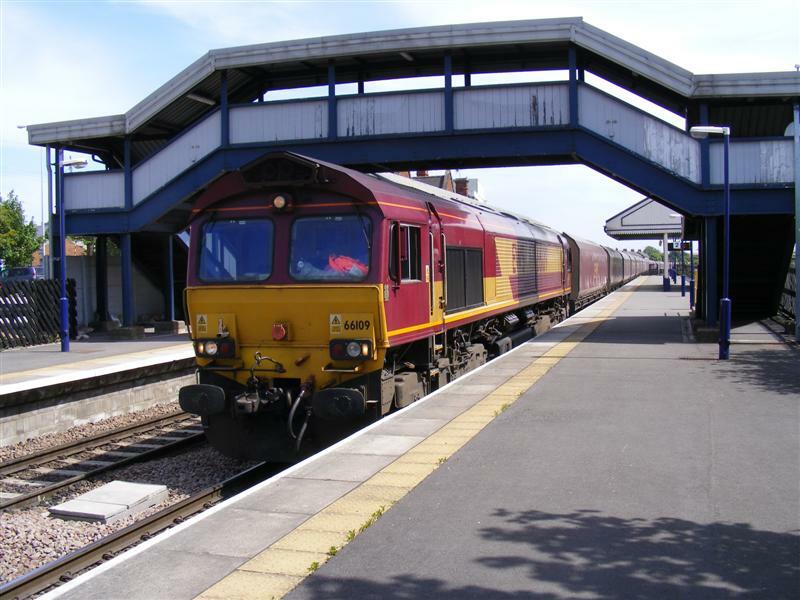 EWS Class 66 diesel locomotive 66109 hauls a rake of (probably empty) hopper wagons westbound through Newport station in South Wales. Photo by Chris McKenna 17/05/2006. 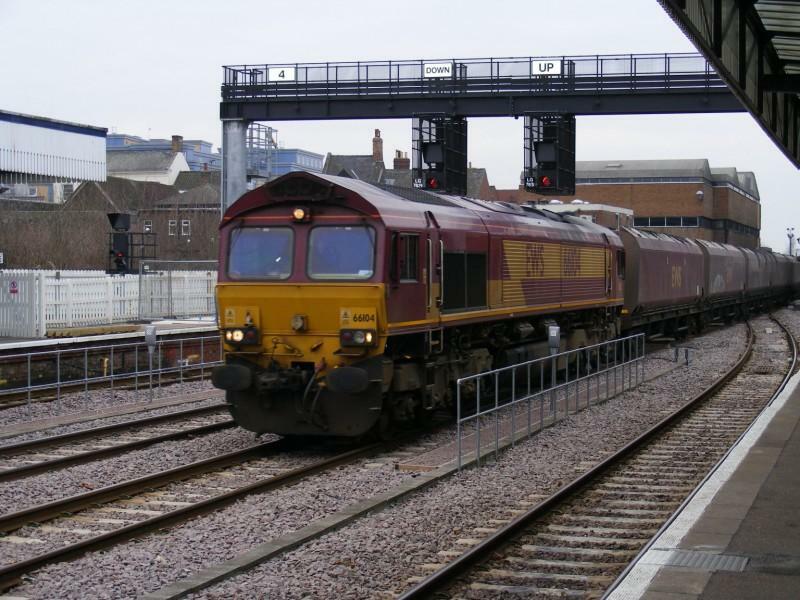 EWS Class 66 diesel locomotive 66109 hauls a freight service eastbound through Bath Spa railway station. 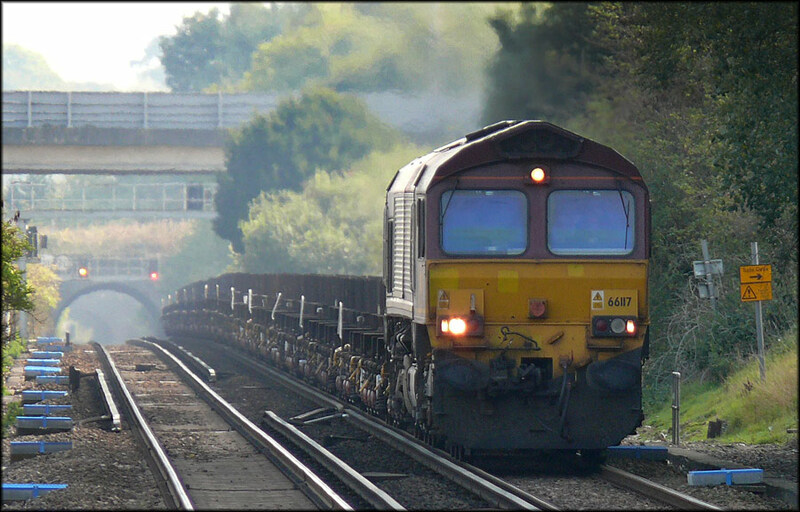 A merged view of EWS Class 66 diesel locomotive 66109 and various wagons stabled in Westbury down sidings (left) adajcent to Westbury station in Wiltshire. 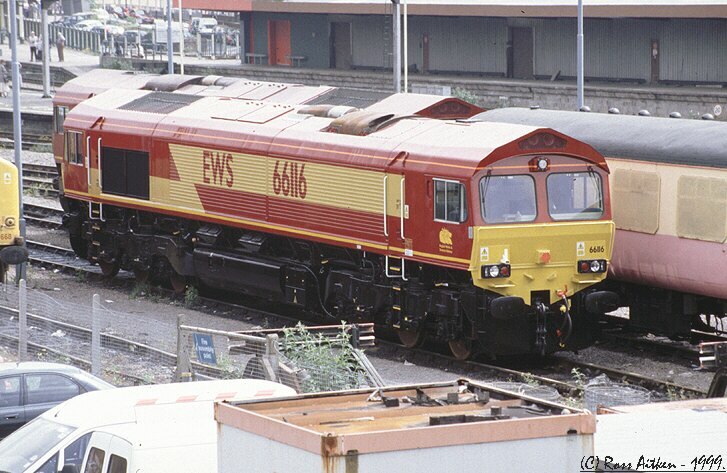 EWS Class 66 diesel locomotive 66117 runs hauls a rake of wagons carrying what looks to be slab steel eastbound through Cardiff Central station. 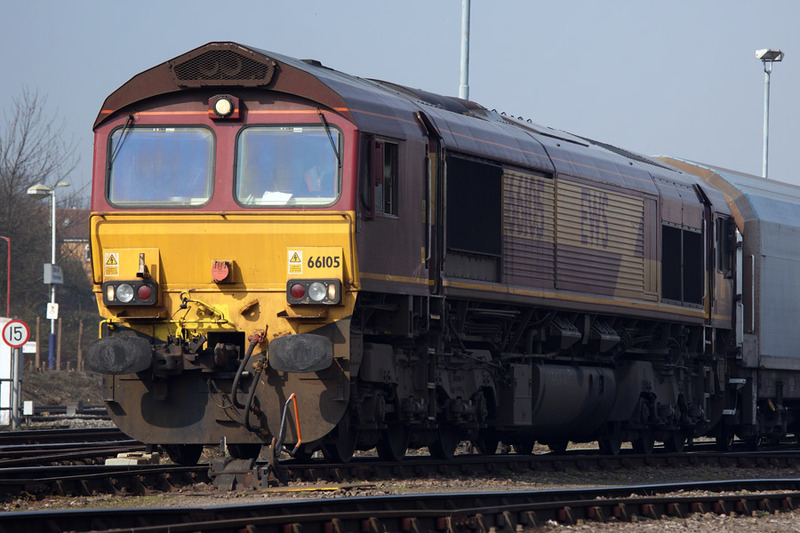 EWS Class 66 locomotive 66092 approaches Severn Tunnel Junction station / gorsaf Cyffordd Twnel Hafren in Rogiet, South Wales with an eastbound empty freight train. 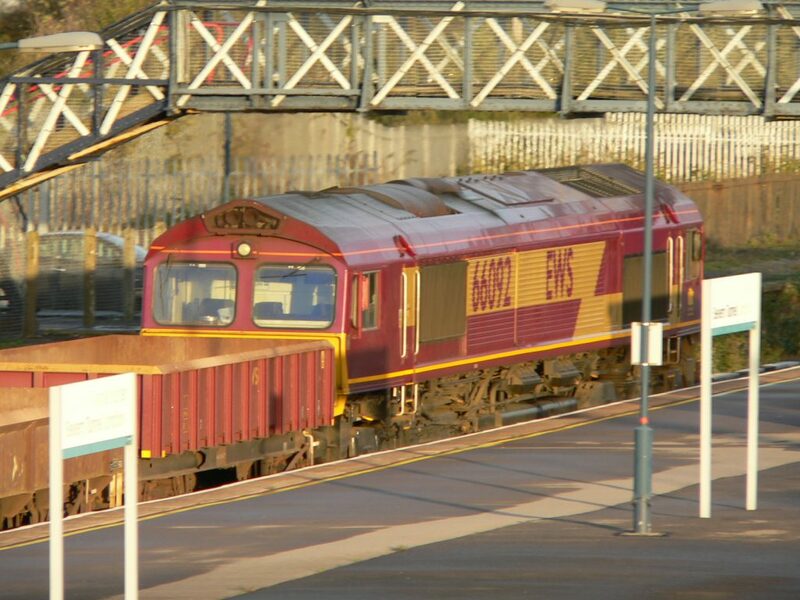 Having taken the diverging route at the junction the train is heading for England via the Severn Tunnel. Photo by Chris McKenna 30/10/2006. 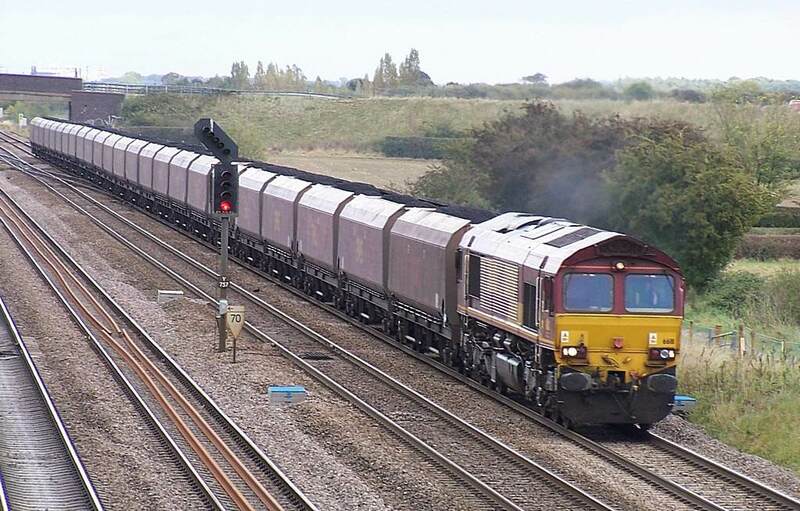 EWS Class 66 locomotive 66092 approaches Severn Tunnel Junction station / gorsaf Cyffordd Twnel Hafren in Rogiet, South Wales with an eastbound empty freight train en route to England via the Severn Tunnel. 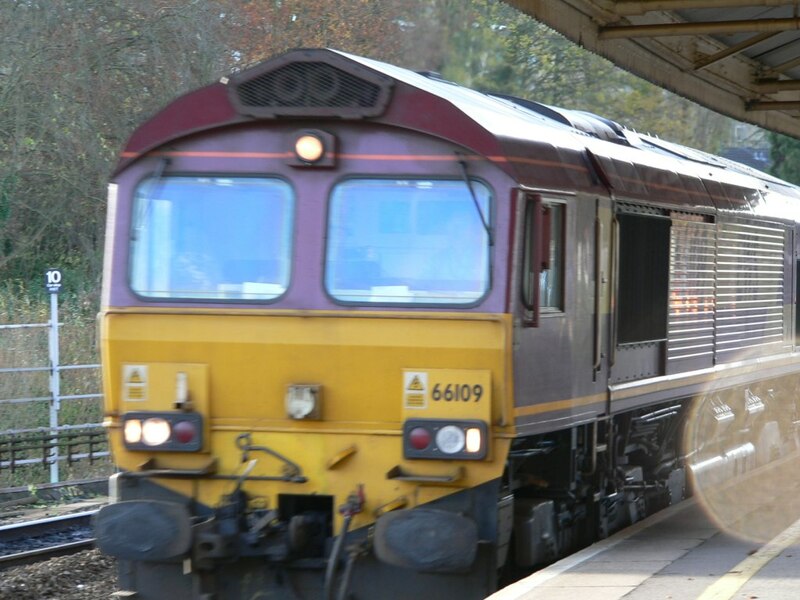 EWS Class 66 locomotive 66092 passes through Severn Tunnel Junction station / gorsaf Cyffordd Twnel Hafren in Rogiet, South Wales with an eastbound empty freight train en route to England via the Severn Tunnel. 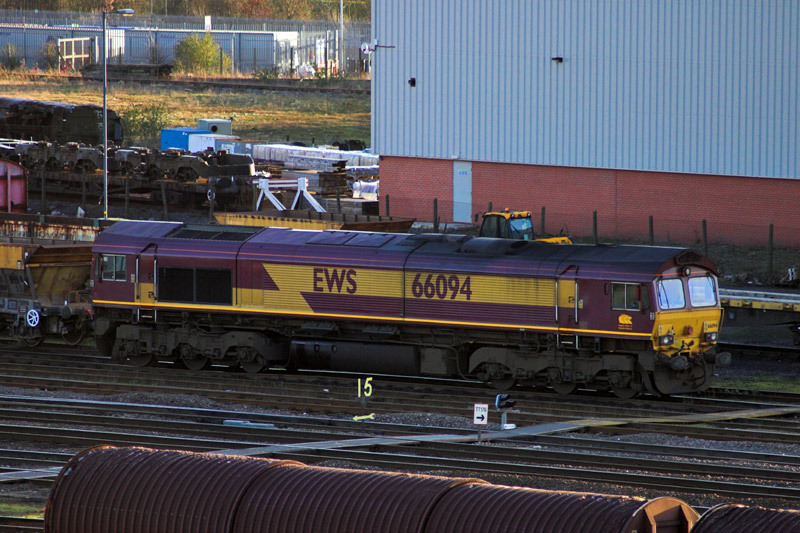 EWS 66092 together with EWS 60500 waiting in Nottingham. Mar 2005.